Would you like to know more about the resources that can help you achieve financial wellness? Visit ComMUnity Connect to promote, manage, and track volunteer opportunities in our region. Help, when you need it. Do you need legal assistance, financial counseling, or support as a caregiver? Miami's employee assistance program can help with that and more. March 29, 2019, third paycheck date know as Free Pay. There are many ways for Miami faculty and staff to be involved in National Nutrition Month and celebrate #HealthyMiamiOH. Suggestions to make sure you are ready for anything winter throws your way. 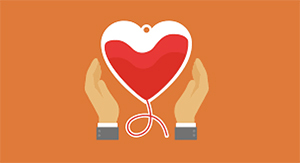 Miami University Faculty & Staff is teaming up with Community Blood Center to host a blood drive on December 6.